We’ve previously documented that former football players, among others, are getting involved in the legal cannabis market. It’s not just ex-athletes, though — it’s also ex-politicians. Sure, Weld is no surprise. He ran in 2016 for vice president on the Libertarian ticket and supported legalized medical cannabis in the 1990s while he was governor of Massachusetts, where recreational weed now happens to be legal. 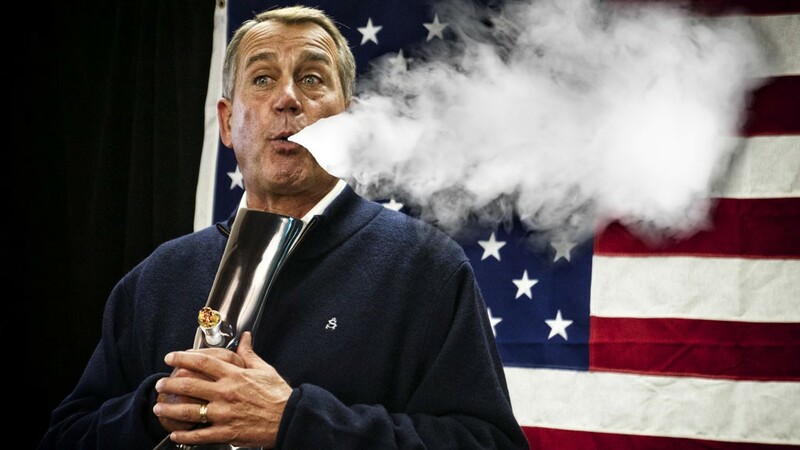 Boehner, though, is another story. The Ohio Republican and former U.S. House speaker told a constituent in 2011 that he’s “unalterably opposed” to the legalization of cannabis and reiterated that stance as recently as September 2015. But on Wednesday, Boehner tweeted the Acreage press release, along with a note that said his “thinking on cannabis has evolved." One has to wonder if Boehner was also dreaming of dollar signs as he typed up that tweet. Nothing like the allure of some quick cash to speed along the evolution of your views.